Due to inclement weather and being an outdoor facility, hours are subject to change. Paved on-site parking includes spaces for disabled guests and electric-vehicle charging stations. Mission Hill Family Estate is also wheelchair accessible has additional space for larger vehicles. Located at intersection of Mission Hill Road and Boucherie Road. Kelowna Regional Public Transit System Route 20/21 Westside drops visitors just down the hill from our entrance. Buses are equipped with bike racks. See bctransit.com/regions/kel for routing details. Watch our website for upcoming special events at Mission Hill Family Estate. 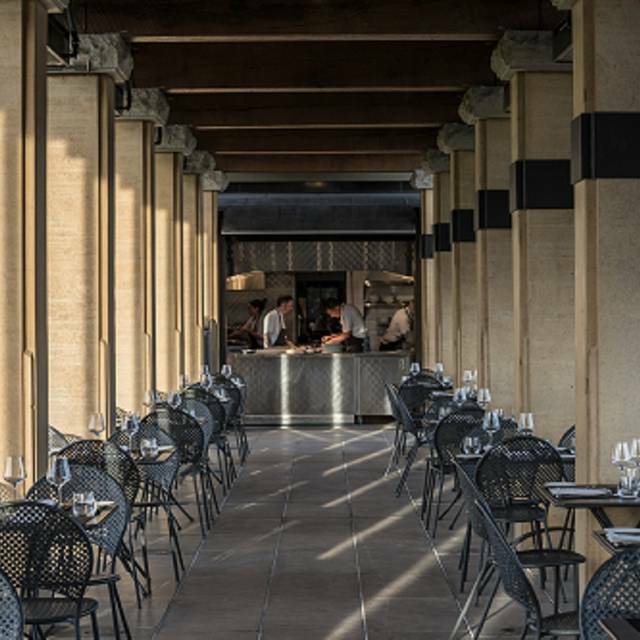 We combine world-class culinary expertise and service with local, sustainably grown ingredients to provide an unmatched wine-country experience. 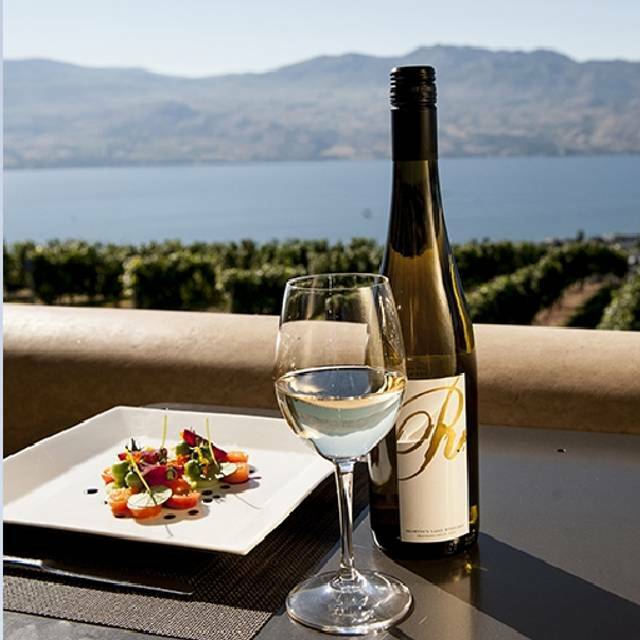 Driven by the flavour characteristics of the wine, our culinary team uses only the freshest, seasonal ingredients to craft dishes around each wine’s natural affinities. 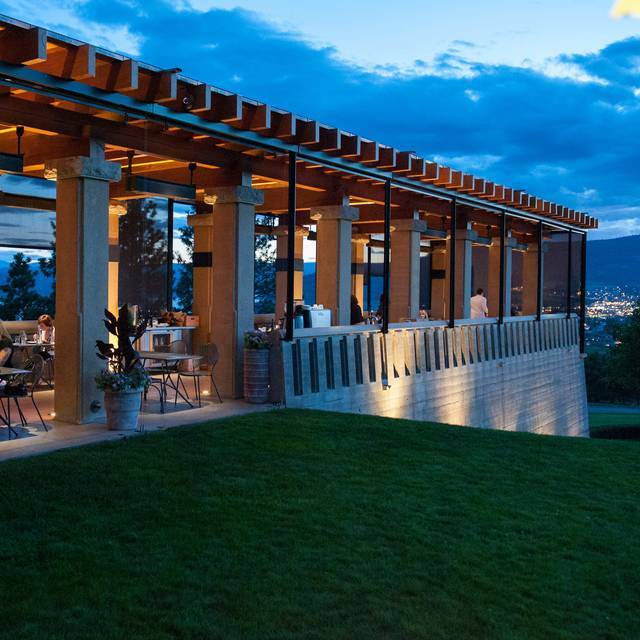 Make your next event in the Okanagan truly unforgettable. 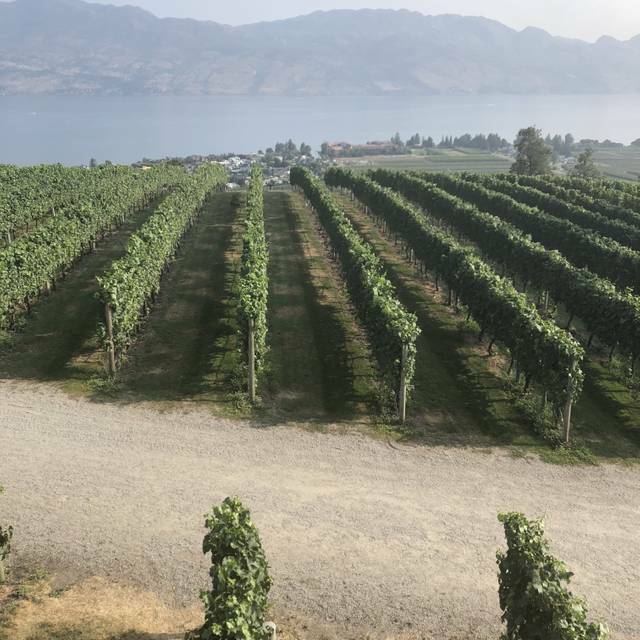 Overlooking rows of Pinot Noir and Chardonnay set against the Okanagan Lake, our outdoor Terrace Restaurant complements our wine’s natural affinities with cuisine that is locally, sustainably, and seasonally sourced. By growing much of our own produce in the estate Varietal Garden and working hand-in-hand with local farmers, we are able to provide culinary creations that continuously evolve to showcase the changing season & highlight our wines. As firm believers of organic farming practices, local foraging and the OceanWise program; we even have our own honeybees to help sustain the estate gardens while providing wildflower honey to be used by our culinary team. The staff here is so polite and kind. The food was so delicious. Wish there was a little bit more seafood in the pasta. Love the Mission Hill Family Estate Restaurant. View is outstanding, food was delicious, service was Great! 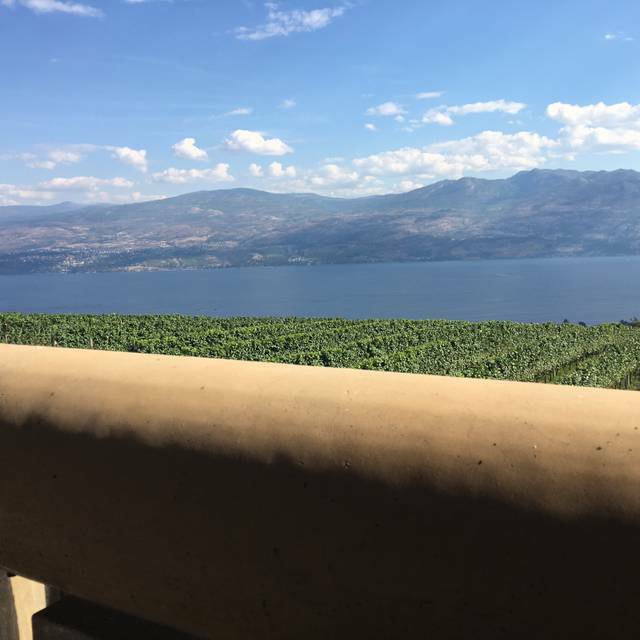 We were vacationing in Kelowna, BC and would definitely return to Mission Hill if we are ever in the area again. We had a wonderful experience. The grounds and restraint are fantastic. One of the must visit wineries. The staff is great. Winery and restaurant! Our favourite lunch on our 5 day wine tour! Fantastic place for a special occasion. 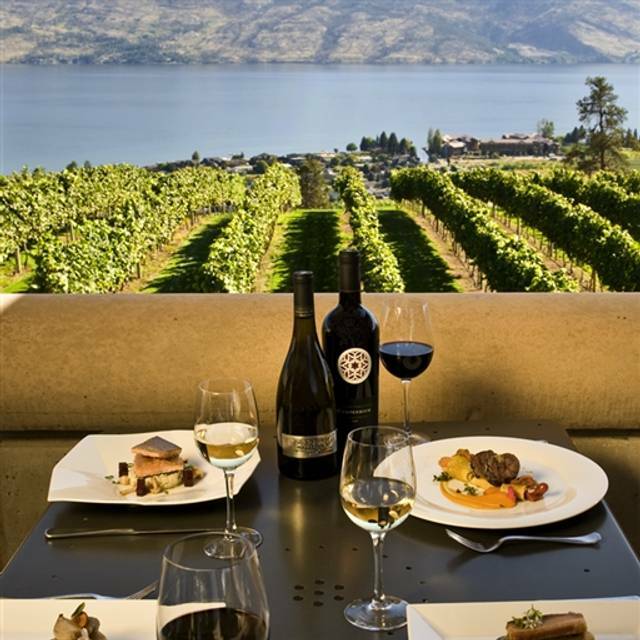 Great food, wine, service and view. What a beautiful winery! hamburguer....... in otherwise, the recept and the place was perfect. Amazing experience. We even joined the wine club! A spectacular spot and great food. The place and setting are wonderful. The meno options are limited and a bit wird. Food mediocre. I knew right off there was only one option my wife would order. It disappointed. Service was excellent. Glad we went but will not repeat. Delicious food, wine and very friendly staff. 10/10 recommend the Crispy pork cheek and squid. Very limited menu for main course. Concerned that the burger appeared undercooked but was reassured this was how the chef preferred to serve them. I am sure it would be lovely to dine out on a warm day but on our visit the heaters were on and we were offered blankets; this did mean that the food went cold quickly. There was no option offered to eat indoors. The food was excellent as was the service. Recommend the wine flight with diner. Absolutely wonderful food and wine with a superb atmosphere. Perfect place to enjoy food pairing with wine. THE EXPERIENCE WAS OUTSTANDING. BEAUTIFUL VIEW AND GREAT FOOD. THE OPPORTUNITY FOR THE WINE FLIGHTS WAS A PLEASANT SURPRISE. IT IS A WONDERFUL SETTING TO ABSORB THE ATMOSPHERE OF THE LOCALE. WE WILL BE BACK. With this in mind, the fact that we were still very happy with our experience says a lot about the staff and everything else! Outstanding service and delicious food. The Terrace view is absolutely gorgeous. Love the foods we ordered! 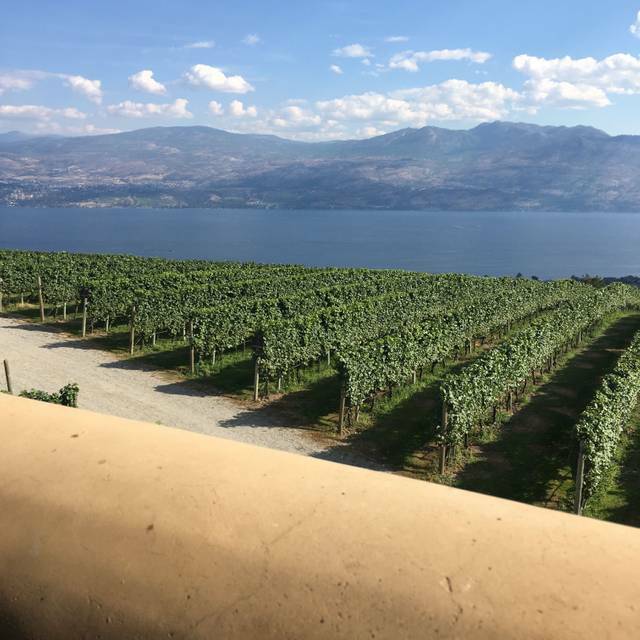 The view was spectacular and our server was very knowledgeable about the wine options. We would love to go back and try more of their food. EXECELLENT!!! This restaurant does not disappoint. The appetizers, mains and dessert is worth the experience. Service lacked at points but the food was excellent. The food was delicious but expensive. The view is terrific but there are other restaurants with similar views and more reasonably priced menu items. 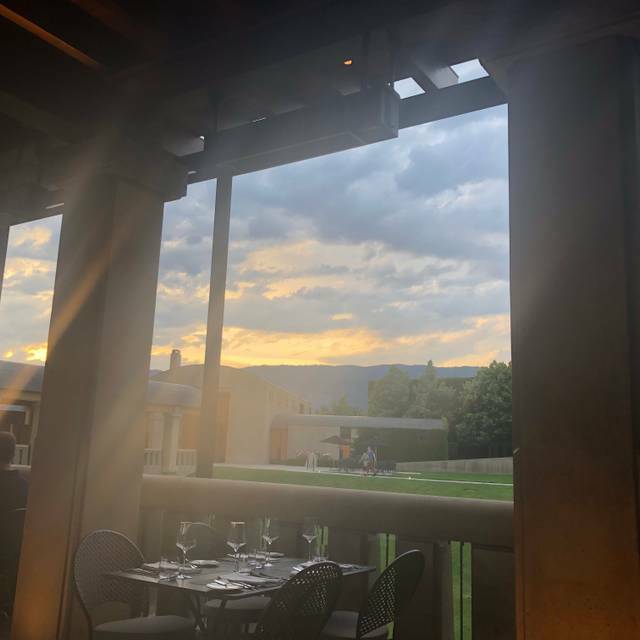 The Mission Hills Winery is in a truly spectacular setting. Add a glass of their great wine on a nice sunny day and it was nearly perfect. The food was great to add to the experience. Mission Hill is always a beautiful time. Great staff, a great organic merlot, amazing food. Thanks for having us! Other than the snotty hosting staff, the meal and wait staff were excellent. Took friends from Australia to lunch. Appetizer, wine, lunch, coffee and dessert ran about $300.00. Food was excellent, view incredible and great service. The day was perfect, the views awesome, the best company (my hubby) and fabulous service and food. Several of the recommended pairing wines were sold out. We were appalled when our server proudly stated that the bread dipping sauce included first-press Canola oil. Apparently none of the chefs in Okanagan understand that Canola oil is detrimental to human health and well-being. The portions were small and our server was overly effusive. Went for our 25th wedding anniversary after doing a tour of the winery. The food was amazing and delicious. The service was outstanding! Service was not good! Too many sauces, should have asked for them on the side. The beef dish was so so. Not very tender. View was spectacular though! Birthday lunch for my wife. Beautiful place and the service was excellent. 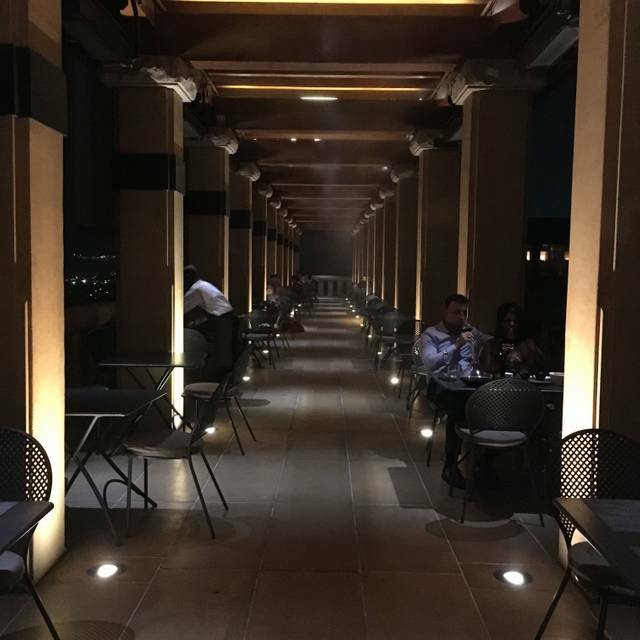 We've been to the Mission Hill terrace before and the food would not be impressive. They improved the quality a lot. The burger is fantastic and the tomato salad is everything you imagine a harvest plate would have. Stunning all around! Great views, food, and service! We come here for lunch every time we visit Kelowna. Had a great dinner at the Terrace restaurant at Mission Hill. Great food and ambiance, very beautiful scenery. The service was great, we requested for a Lakeview table but unfortunately this was not accommodated due to high demand. Otherwise it was still a great night out. A bit pricey but great food. We have recently moved to the area. We came to the Winery last week for lunch and were highly impressed. Food quality service and ambience exceeded our expectations Became legacy members that day and returned for dinner Friday night. We look forward to bringing our friends and family. Our food was good, but portions were small. We also had a very unfortunate incident when the server suggested a wine pairing with my wife's bavette. My wife agreed and later found out that the red wine suggested was $34 dollars for one 5 or 6 oz glass. My wife was upset that the server didn't ask her initially if she'd like one of their more select wines with her entree as she would then have likely asked the cost. When we requested that she speak to the manager about meeting us half way, the management did not budge on the cost. This would have been an easy and cost free decision by management. In my view it was a big mistake. Our bill was $234.00 dollars. They still would have done very well and we might have returned. This way, we will never return and we will also go out of our way to share our story of a rigid management and a $34.00 dollar glass of wine. Lovely place with a great staff! Beautiful place. Great service at the restaurant. We had an unfirgetfull dinner there. The architecture is unique, classy and amasing! We were a party of 4 and we all loved it! The service, the food, the wine the ambience all incredible!